STEP ON AN ENERGY SCALE - it's just 2 numbers and clicking a button if you have energy history. DECIDE IF FURTHER EFFORT IS WARRANTED - it's easy. Decide if your home has a big enough savings opportunity to warrant applying for the free audit program. (not really free, you've already paid for it out of RPS and SBC charges on your energy bill. So, you are paying for an audit whether you take advantage of it or not). Less than 15 minutes, right? If you feel further effort IS warranted, apply for an audit, which may take another 15 minutes. CLICK HERE: It's a one page application. Again, NEXT: If you feel further effort IS warranted, apply for an audit, which may take another 15 minutes. It's a one page application. Ever wonder; "How much am I wasting UNNECESSARILY and WHERE IS IT GOING?" STEP 4. SIGN UP FOR FREE ENERGY AUDIT PROGRAM - it's easy. It's a one page application. 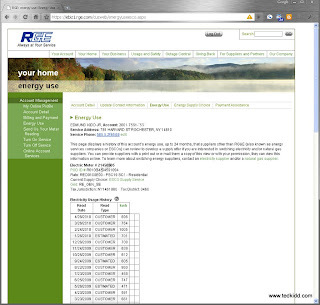 SIGN UP FOR FREE ENERGY AUDIT PROGRAM - it's easy. It's a one page application. Now you have your energy history and know your home has opportunity that meets your cost effectiveness criteria. Download the PDF and it's "fillable". DONE! Now you have claimed your $250-$400 energy audit. Actually, reclaimed RPS and SBC charges you've paid in to the system on your utility bill. NEXT BLOG: FINANCING PROGRAMS THAT USE ENERGY SAVINGS TO PAY FOR IMPROVEMENTS! On-Bill: So good it sounds too good to be true! The audit opens the door for additional incentives available for funding repairs and improvements through the NY Home Performance with Energy Star program. Please contact me if you have any questions! Ted- Thank you so much for giving me all the insight into saving energy and ultimately giving my family the best living environment possible. It was very informative and even better that NY state paid entirely for your visit. I will pass your name along. Thanks for sharing an informative nice blog! I appreciate the accuracy and the well-detailed write-ups. For energy efficiency accounting services you can call 617-965-5959. Heating Ontario air conditioning contractors specialize in finding the right system for your home. No matter what size your home is, you can be sure our expert technicians will devise a plan to keep your home cool without breaking the bank. They'll make sure your indoor environment is healthy and comfortable, giving you options for choosing the air conditioning system that is right for your home and your family. Hi, nice post. Well, what can I say is that these is an interesting and very informative topic. Thanks for sharing your ideas on energy efficiency accounting services, its not just entertaining but also gives your reader knowledge. Good blogs style too, Cheers! This is very nice one and gives in depth information. I really needed to know this. thanks for sharing this information, this is just what i was looking for.